As the festive season approaches, millions of Britons prepare to gorge themselves on turkey and stuffing safe in the knowledge they can at least attempt to work off their excesses in January. However, savers stuffing their faces on pension freedoms withdrawals might find it more difficult to get themselves back in financial shape. 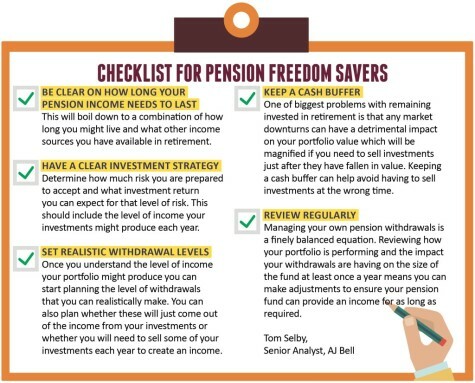 An AJ Bell survey of 250 UK adults aged over 55 who have flexibly accessed their pension shows 44% of people are withdrawing more than 10% of their pension savings each year. Based on the average level of pension savings of £118,000 those levels of withdrawals would only last for a maximum of 12 years (see below). If that withdrawal is reduced to 6% of the starting fund value the money could last for a much more comforting 26 years. The table shows the fund value each year based on 6% and 10% withdrawals of the initial fund value of £118,000. It assumes 4% investment growth per year post charges. These levels of withdrawals might be OK if you’re in your 70s or 80s but the research suggests people in the younger age brackets are actually more likely to make larger withdrawals. Over half (57%) of people in the 55-59 age bracket are withdrawing more than 10% of their fund each year. This reduces to 43% of people in the 60-64 age bracket and 34% of people in the 65-69 age bracket. The reason for these potentially unsustainable levels of withdrawals is because the younger someone is, the more likely they are to underestimate how long their pension income will need to last. Some 51% of people in the 55-59 age range anticipate their pension income will need to last for less than 20 years. However, ONS data for the UK shows that men in this age bracket are expected to live for another 23 to 27 years and women for another 26 to 30 years. 10 years. That is less than half the time they can expect to live on average – and remember many will live far beyond the average. 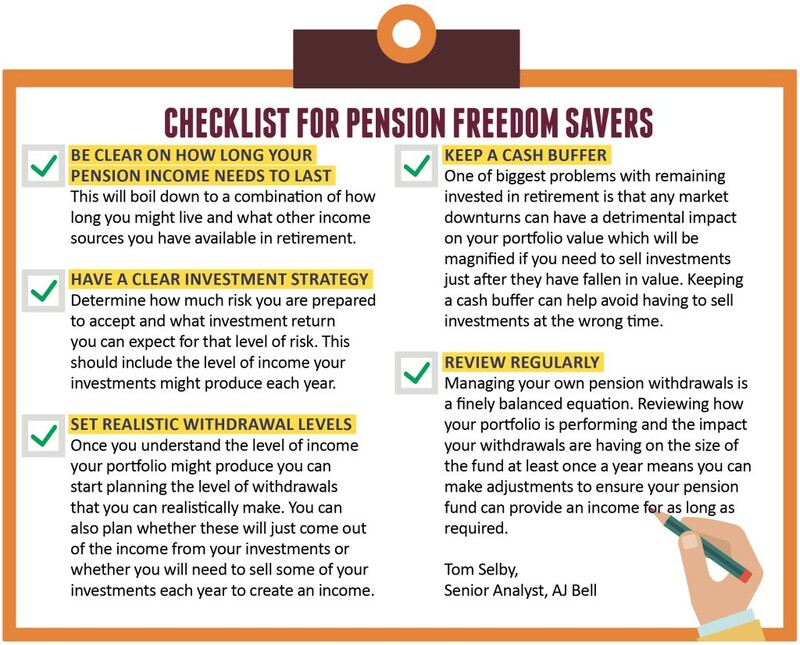 Anyone who is using the pension freedoms needs to have a realistic idea of how long their pension income might need to last and what level of investment return they can hope to achieve. They can then work out how much they can withdraw each year without running out of money too early. Even then, the level of withdrawals should be reviewed regularly, something that far too few people are doing.